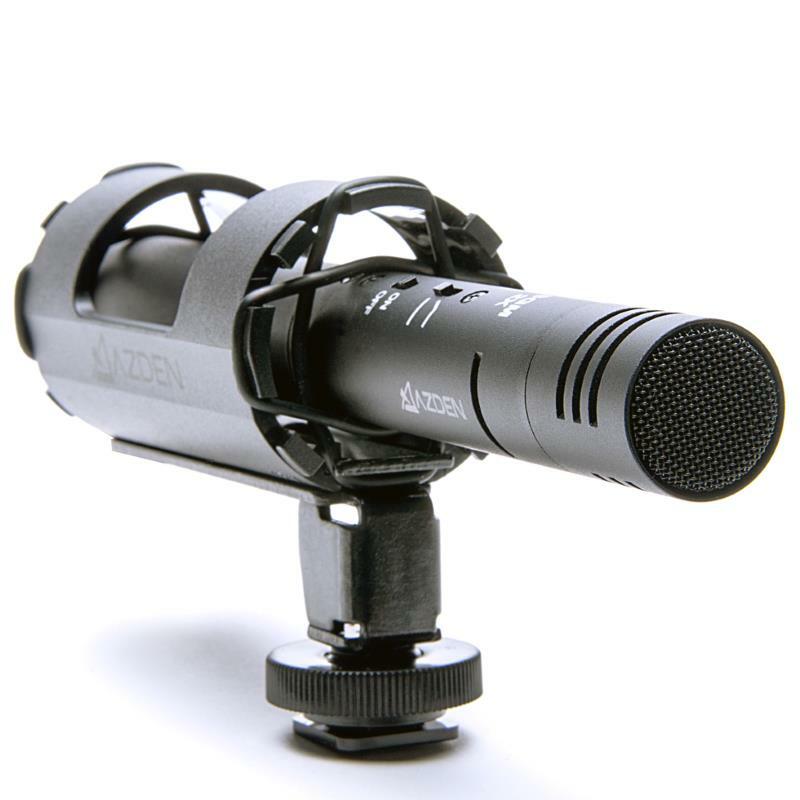 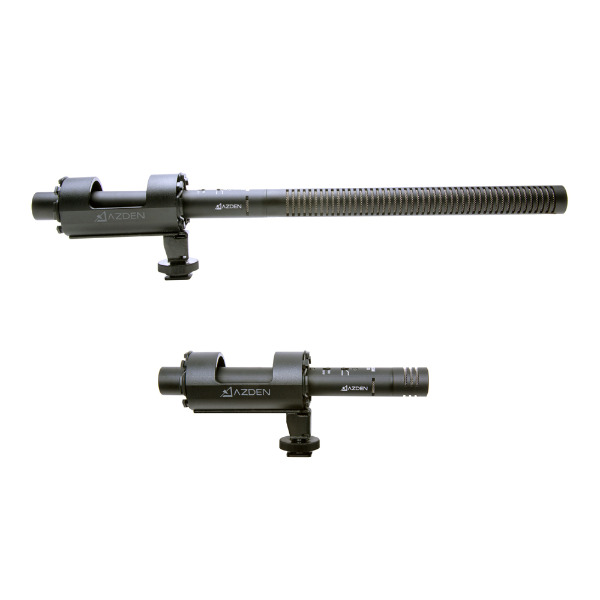 The Azden's SGM-2X Professional Shotgun Microphone System is designed for both the Pro-Sound and Broadcast markets. 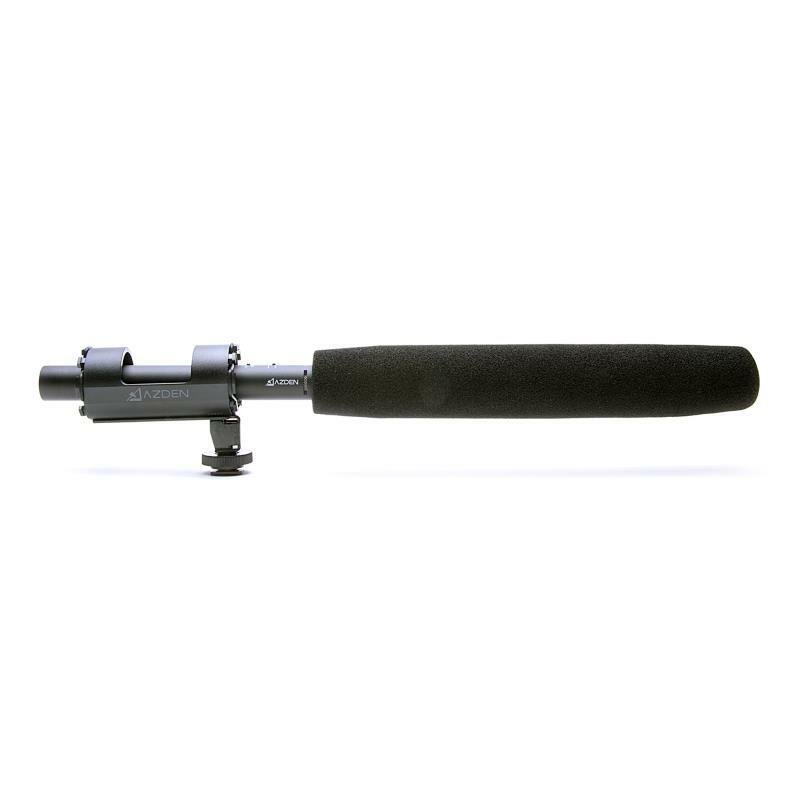 The microphone comes with two interchangeable barrels making it either omni-directional at 7.6″ long or a super-cardioid (very directional) at 15″ long. 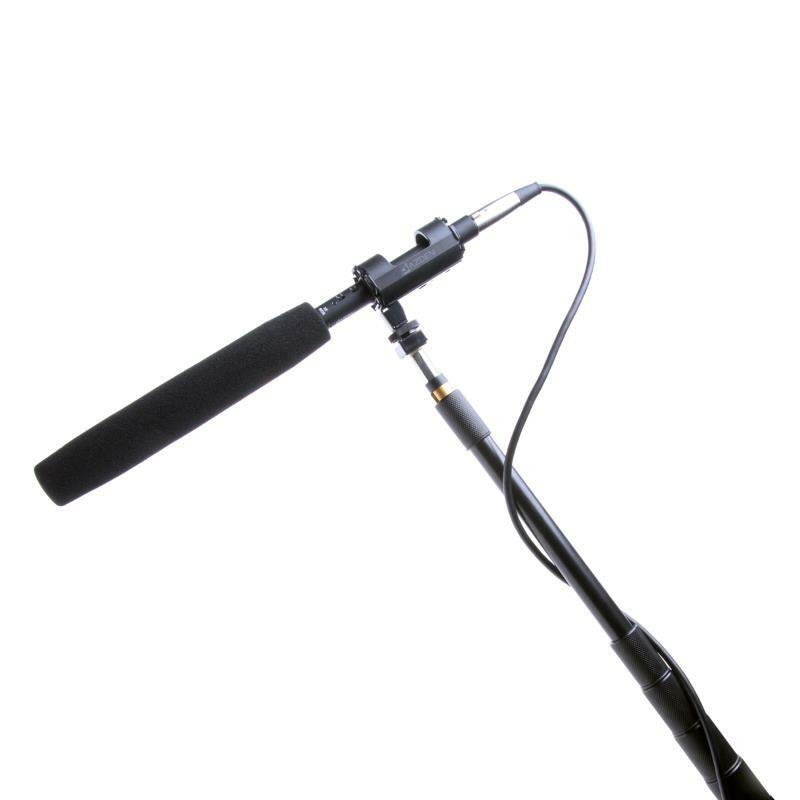 Either configuration provides a sensitive, low-noise, wide bandwidth signal through its balanced, low-impedance XLR output. 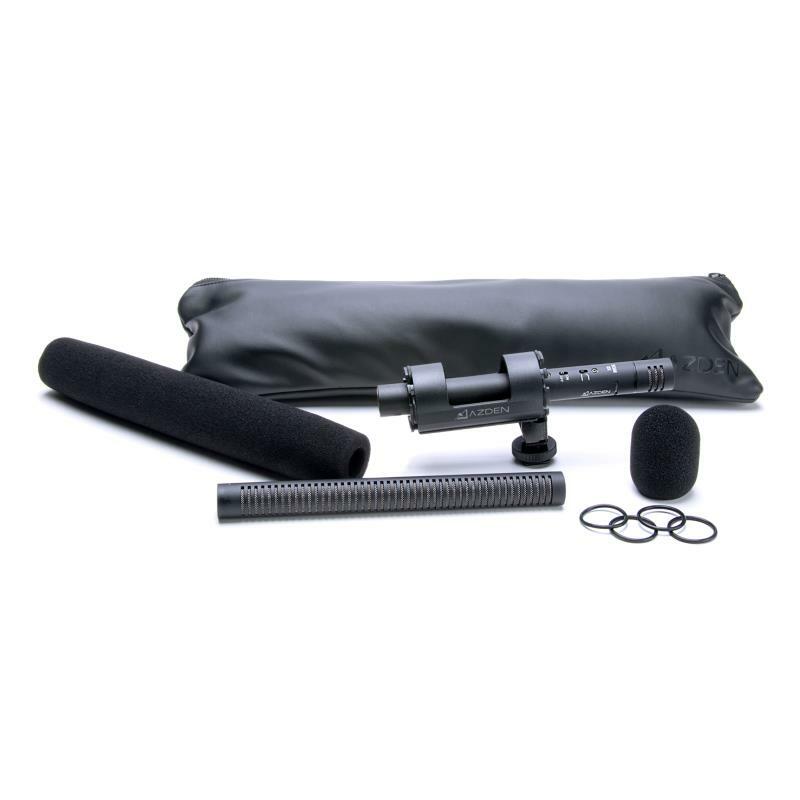 The SGM-2X comes complete with a unique, integrated shock-mount with both camera shoe-mount and mic stand-mount and two foam windscreens. 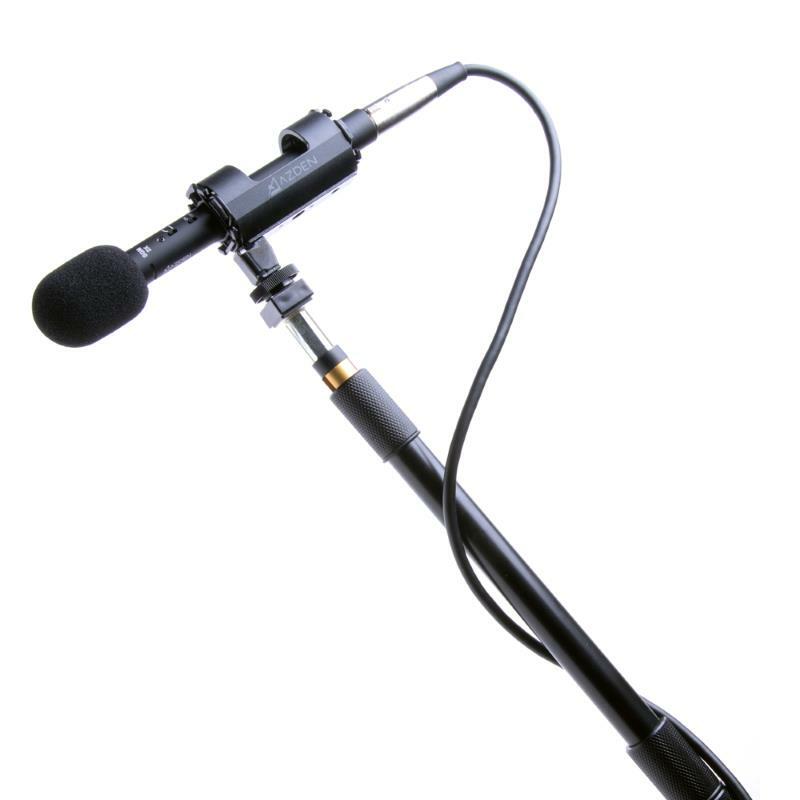 The microphone is powered by a single, “AAA” battery (not included) which lasts up to 1000 hours.